Hi y'all! 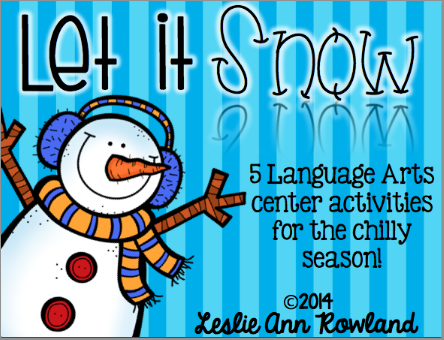 I've had these winter language arts centers finished up now for a few days, but I had uploading issues so I'm just not blogging about it! :) I'm showing these on Life in Fifth Grade, but I decided to post here because I know not all my followers are 1st grade and they would work wonderfully for grades 3-6ish. Y'all probably already know this trick, but I recently realized you can use velcro to close your centers. Love!